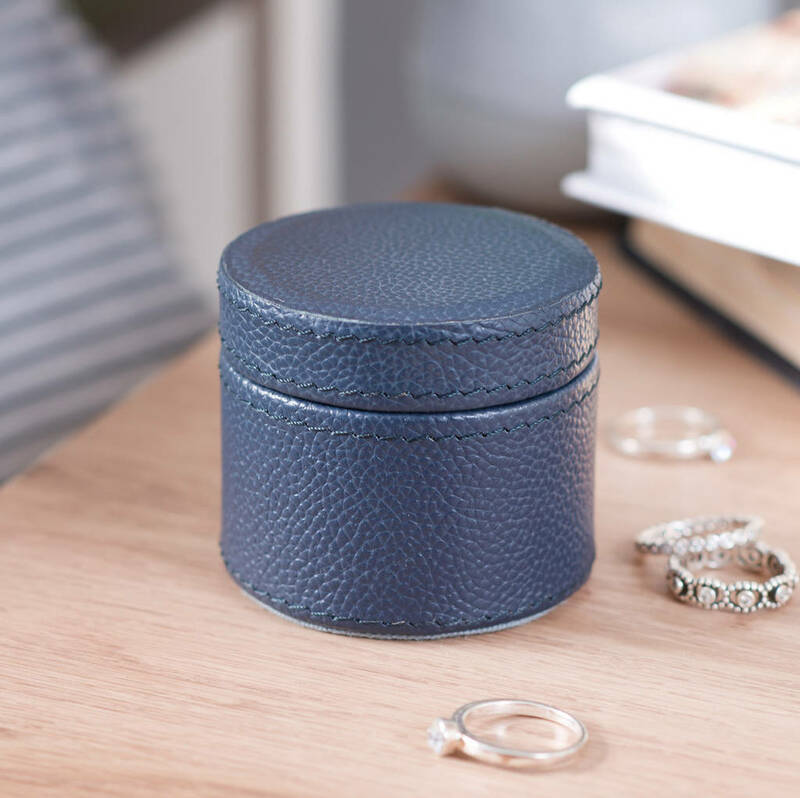 New and exclusive to Ginger Rose, our bespoke leather cufflink box is perfectly sized to store his cufflinks. 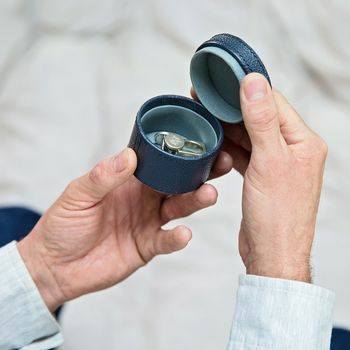 Every modern man needs a home for his things, an accessible place where he can store his daily essentials. 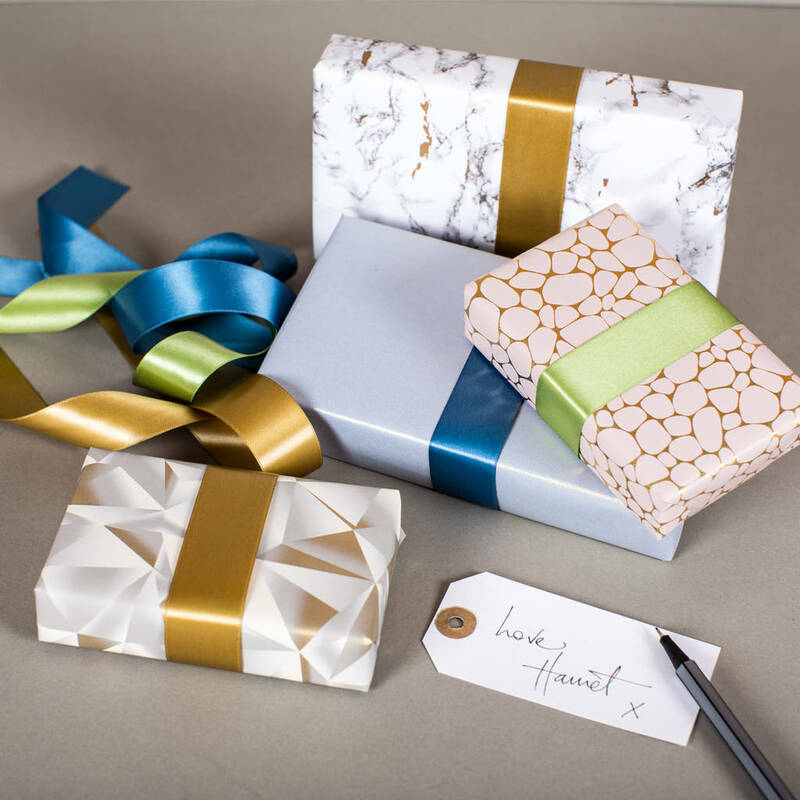 Keep close to the bed or display proudly on the dressing table, its pebble textured exterior is guaranteed to look smart and keep the boxes contents tidy. 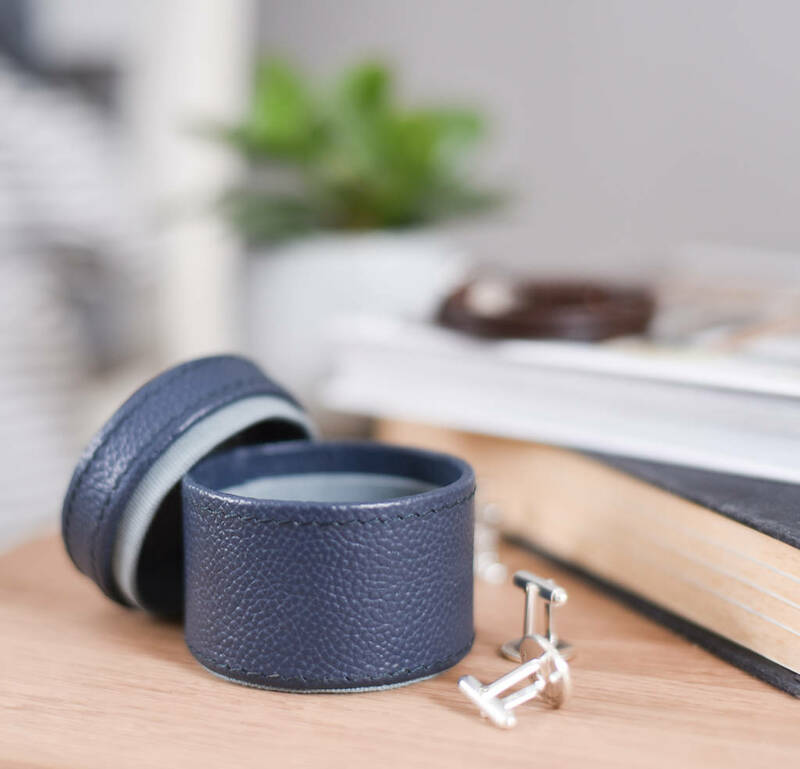 A timeless and functional leather gift for him, be it a Father's Day gift, a milestone birthday, 3rd wedding anniversary gift (which is traditionally leather,) a christening gift or wedding day present (something blue!) or simply just because, our leather boxes will be loved for years to come. 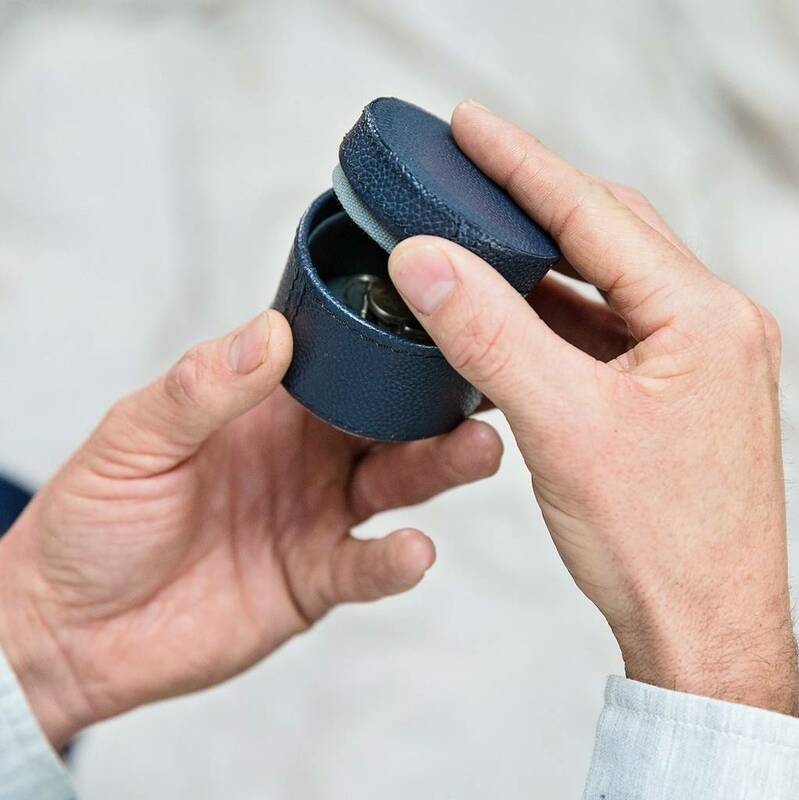 These pebbled leather cufflink boxes are available in ink blue with dusty blue cotton lining, stone with chocolate brown lining or choc brown with pisachio green lining.